We catch up with John Ramsay, about his experience at this year’s Alzheimer’s Show and what’s in store for the Tovertafel in the future. (Read more from our original chat with John here). One of the things that most impressed John about attending this year’s show – their 3rd consecutive time exhibiting – was the opportunity to meet lots of likeminded people. John describes them as “kindred spirits, looking to change the world” – which fits in perfectly with the ethos of John’s company, Shift 8, which was founded on the principle of social responsibility. 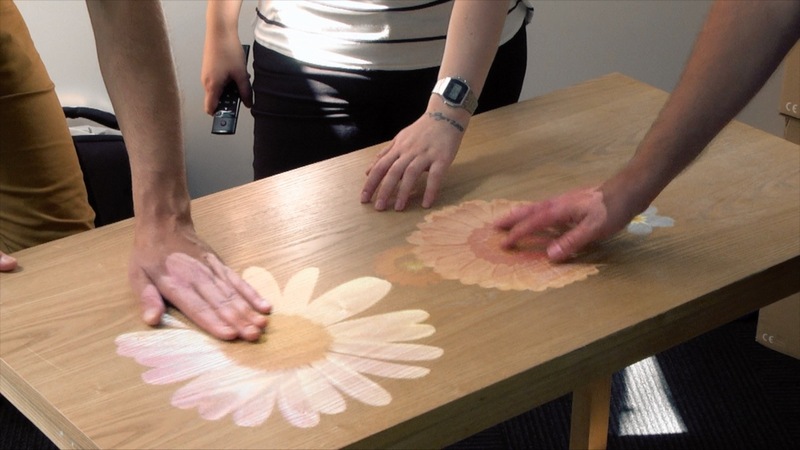 The Tovertafel itself enjoyed a great reaction from everyone who saw it or interacted with its specially-designed games aimed at people with dementia. People also expressed a lot of interest in the related Buddy Scheme (where 6th formers engage with local people who are living with dementia) and the ongoing training and support available for making best use of the Tovertafel within the community – something that is very important to John and Shift 8. 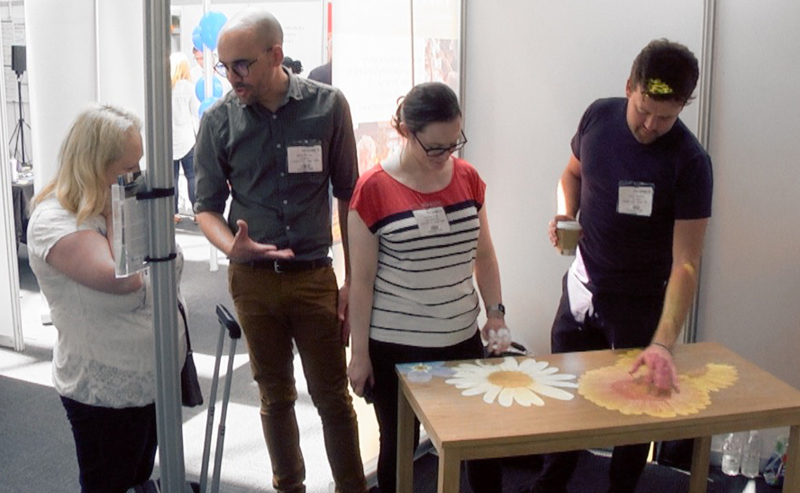 Friday at the Show was busy with professionals and industry insiders, enabling John and the team to network with plenty of people from relevant businesses and organisations – such as care home providers, clinicians, research organisations, academics and public health specialists. With this being their 3rd time, John was pleased with the amount of progress they’d been able to demonstrate and outlined that their first Show – in 2016 – was where it all started for them. John and the team always love attending the Show, so they’ve already allocated the time for next year, which they’re sure will be bigger and better than ever before. Following a successful Show and a recent item on Sky News – (click here to view) Shift 8 have lots of other appearances lined up where they’ll be exhibiting or talking about the Tovertafel, including a feature on the BBC World Service and a forthcoming event in September at the Dutch Embassy, to name just a couple. Outside of events and appearances, the team will be hard at work on research and development, continuing with their quest to constantly refine and improve the items and services they offer. The Tovertafel Up, for instance, is due be launched later this year. This is based on a new set of games that are designed for people with learning disabilities, rather than specifically for people with dementia. The Tovertafel Original will also benefit from new games and a countrywide programme of display and development activities involving organisations such as care providers, local schools and even scout groups. John is happy to report that new team members will be coming on board this year – some of whom will have different areas of knowledge such as speech therapy, different languages, physical activities specialisms and the like. With everyone at Shift 8 already having participated in the Dementia Friends course, it was also a natural progression for them to become Dementia Champions – helping to spread the right messages about dementia throughout their local communities. We wish John and the team continued success – and look forward to seeing them again next year!